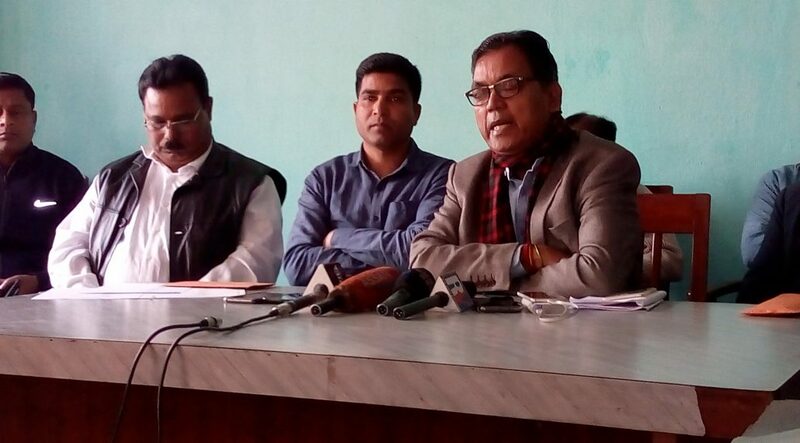 Assam Chah Mazdoor Sangha (ACMS) president Paban Singh Ghatowar on Sunday lashed out at BJP for dividing people in the name of granting Scheduled Tribe (ST) status. Addressing a press conference at ACMS central office here, Ghatowar alleged that BJP polarizing the people in the name of granting ST status. “It’s a conspiracy against Tea tribes because they will be tagged as ‘B’ grade ST curbing the benefits as compared to the other five ethnic groups of Assam. We have been exploited since British era and still the tea tribe people have been subject to exploitation,” he said. “We are socially, economically and politically backward compared to other groups. The tea tribe people belong to working class,” the former union minister said. He said that out of 109 tea tribes in Assam 73 were not included in the ST list, only 36 were included in the list. “It is a fact that the other five communities belong to the ruling class whereas the tea community belongs to the workers class. We are not against the other communities but at the same time, we must not be discriminated. We have a strength of 80 lakh tea tribe people in Assam and compared to others they are backward economically, socially and in education. Compared to 72% overall literacy, only 46% of tea tribe people are literate,” ACMS president said. The Union Cabinet had recently approved Scheduled Tribe (ST) status to Assam’s six communities –Tai Ahom, Koch Rajbongshi, Chutia, Tea Tribes, Moran and Motak. Home Minister Rajanth Singh had said that a bill in this regard will be introduced in the Parliament soon. “It has been a long-standing demand. But while rest of the communities like Tai Ahom, Koch Rajbongshi, Chutia, Moran and Matak will be awarded ST status as a whole, only one-fourth of the tea tribes residing in Assam will be granted ST status. We have 109 tea tribes out of which only 36 have been recommended for ST status. This is highly discriminatory. The BJP government is trying to play a divide and rule policy,” Ghatowar added. Ghatowar informed that on Monday a statewide protest will be organising under the banner of Chah Janogosthi Samanaya Samity against the Citizenship (Amendment) Bill 2019. “BJP is supporting the bill by breaking the secular fabric of the constitution. They are dividing the people in the name of religion which is unconstitutional,” the ACMS president alleged.